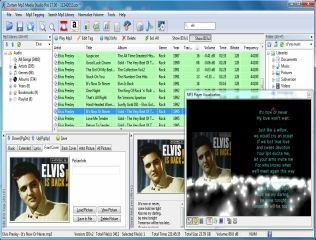 Zortam Mp3 Media Studio is a suite for MP3 files that supports playing, tagging, normalizing, ripping, converting and more. Included Zortam Mp3 Player gives you a show of lights and images visualizing the covers of your albums and song lyrics. NOTE: This portable version doesn't require a full installation.